Mr. Ian MacKenzie is known for his savvy business sense and has built his reputation and fortune completely through traditional hard work. But when his adopted parents are in need of a new housekeeper and Isadora is thrown into his path, he’s unexpectedly charmed by her unconventional manner. Neither Isadora nor Ian expected to find the other so intriguing but when a chain of mysterious incidents on the farm point to a larger threat, they’ll have to set aside everything they thought they wanted for a chance at happily-ever-after. 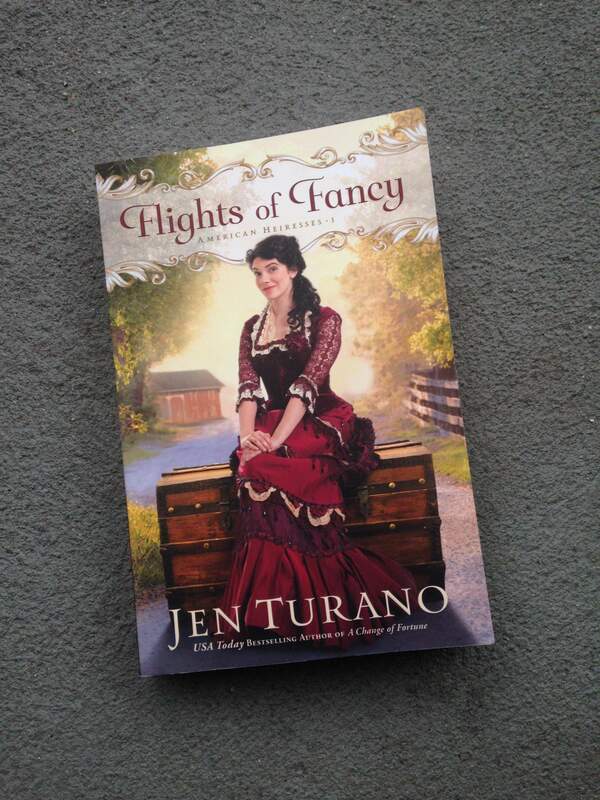 Flights of Fancy is the first book in Jen Turano’s new American Heiresses series. Jen has been one of my all-time favorite authors for a very long time now, actually since I read her very first ever prequel novella—Gentleman of Her Dreams—almost seven years ago. I’ve read every single thing she has written since then, and her books only keep getting better and better. Historical fiction has always been one of my favorite genres, and Jen is just one of the most talented historical fiction writers. Every one of her books makes you feel like you’re completely transported into the world of her characters, and you can’t help but enjoy every minute of it. Isadora Delafield just might be my favorite of Jen’s heroines. She’s spunky, she’s always willing to learn something new, and she’s not afraid to admit when she’s wrong or when she doesn’t know something. Watching her with the children, and laughing at her mishaps as she tried to be a successful housekeeper, made this story impossible to put down. Not only that, but the few unexpected twists and turns that came with the plotline made this book even better. I couldn’t help but admire Isadora, and I wish there were more books just about her story. Though I really am looking forward to reading whatever books Jen writes next. Throughout this entire story, I couldn’t help but fall in love with both Isadora and Ian, along with Isadora’s friend Beatrix, and Ian’s adopted parents, and the children they ended up caring for. Even though I read this book over two weeks ago and am just now getting around to finally reviewing it (thank you college for starting up again and taking all of my time), I still feel like I’m in Isadora and Ian’s story, and I already want to read it again. There was just such a level of redemption, of learning to be exactly the person God made you to be, that I feel like I learned so much, in the best way possible. I learned things about myself and about who God has called me to be right along with Isadora and Ian, and that is the best type of story of all. All in all, I absolutely loved this story, and I am so glad that I was given the chance to read it. I cannot imagine giving Flights of Fancy anything but all five bookshelves, and a place on my all-time favorites list. I highly recommend everything that Jen writes, especially this novel, and I can’t wait to read everything else that she comes out with next. I received a copy of this book from the publisher in exchange for only my honest review. All credit for the italicized synopsis goes to Jen Turano and Bethany House Publishers. Photo credits go to my amazing sister, Allie.